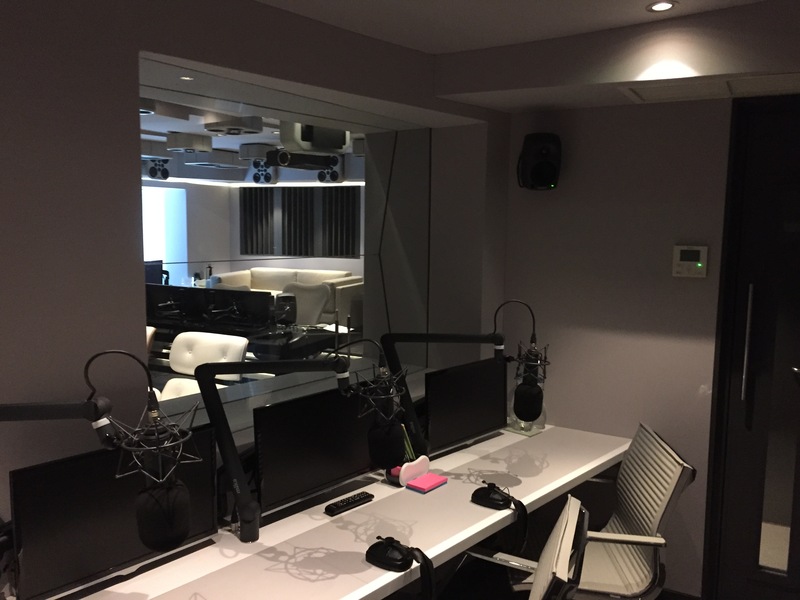 We have worked at wave studios in conjunction with Westwood Joinery for many years, fitting fabric to several studios in this post production facility in the heart of Soho. This post production facility has won ‘facility of the year’ at the Conch awards in 2010 & 2012 and is very highly rated within the industry. As you will see from the photos of this project, it was not straightforward. There were lots of different angles and levels to overcome. 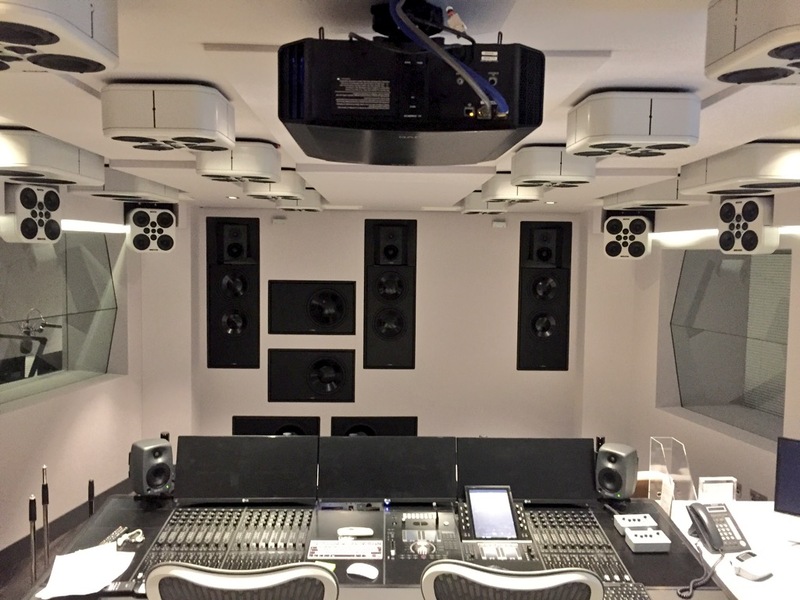 There were several pockets for speakers, due to the room being fitted out for Dolby Atmos, all of which had to be fitted with fabric to tie in with the rest of the room. The design from White Mark Ltd was very technical and as always allowed the project to be finished to the highest possible standard. 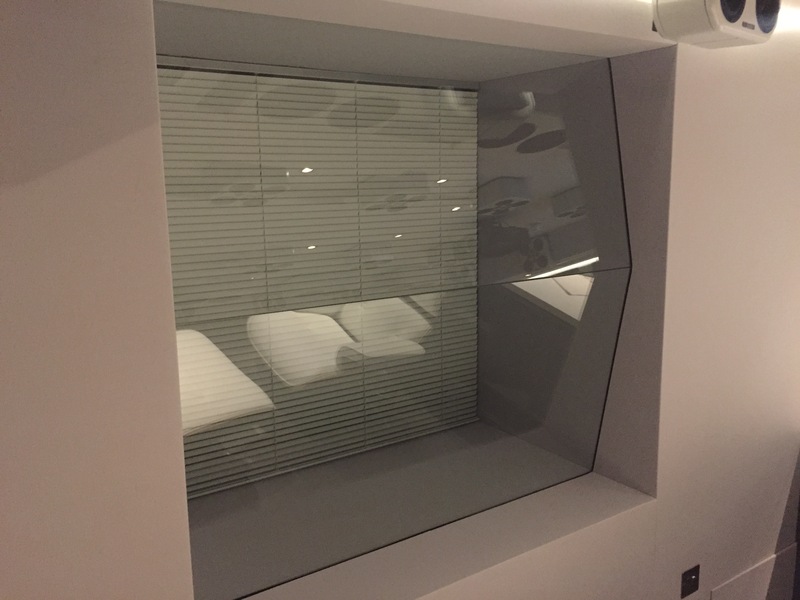 We have worked with White Mark Ltd for several years on many top end projects and this was no exception. On this project we used our 9mm tracking system fitted to the timbers. 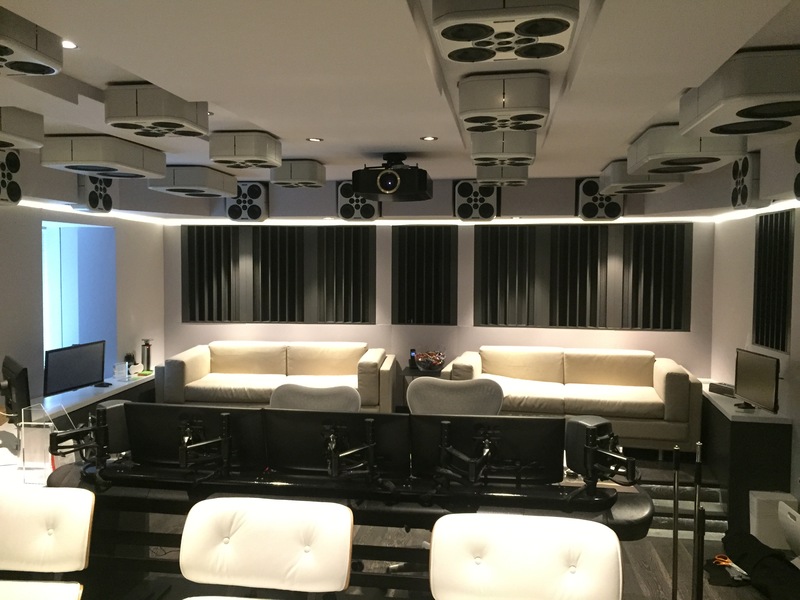 We then stretched our lining fabric over the acoustic treatment and stretched the finished fabric into position. 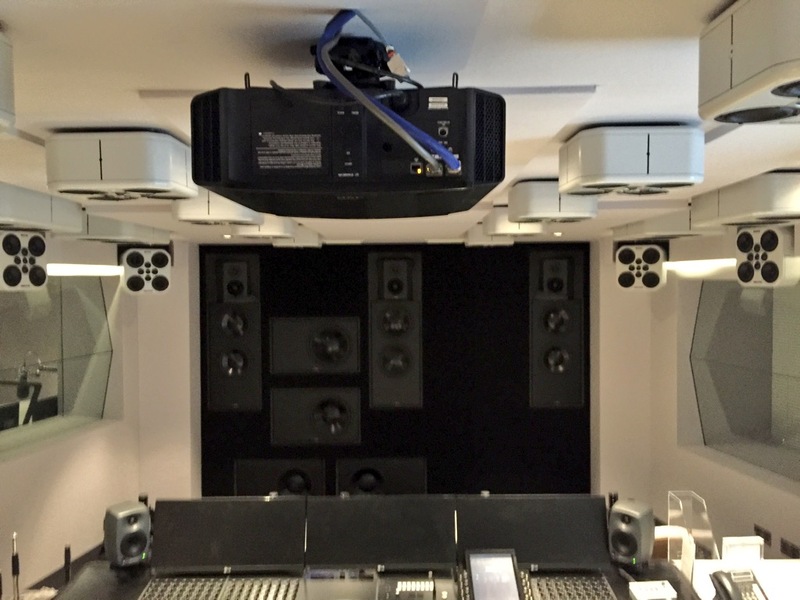 A great end product was achieved by all involved and the room was finished off by the superb looking Exigy speakers!